Travel not permitted: Auckland - Honolulu: 21 Sep - 1 Oct 2019. Honolulu - Auckland: 13 - 27 Jul, 3 - 14 Oct 2019. Terms & conditions: For airfare only bookings paid with credit, debit or charge card, a fee of $17.50 per person per one way Honolulu journey applies. An additional $10 one-way applies for travel between Fri-Sun in both directions. Prices correct as at 23 April 2019. A booking is not completed until a booking reference number has been allocated and advised. Payment is required at the time of booking. Fares are shown in New Zealand dollars unless otherwise specified. Offer is valid for new bookings only. New deals may be released at any time. Fares from or via Auckland, Wellington, Christchurch & Queenstown include airport and government costs, for travel from points other than these, New Zealand airport departure fees are payable at the airport. Customers who purchase fares using Airpoints Dollars™ online will be required to pay the government and airport charges which are included in this fare by internet banking or credit card. Fares displayed at the beginning of the booking process exclude applicable airport and government costs which will be displayed separately once an itinerary is selected. Capacity is limited and will not be available on all flights. Child discounts not applicable. The airfare content is non-refundable, and non-transferable. Taxes on return sector will vary from those on the outbound journey. Date or flight changes to your booking are permitted at any time prior to departure by paying a $100 change penalty (plus a $35 service fee where that change is made through a Contact Centre or at the Airport) and any difference in fare if a fare upgrade is required. Cancellation/changes: Air New Zealand’s conditions of carriage, Smart Saver and Airpoints™ terms & conditions apply. See further baggage information. Connections from provincial New Zealand points requiring an overnight break in the journey will be at passengers' own expense. All promotional offers advertised on this website are correct at time of publishing, however Air New Zealand reserves all rights to modify, amend or withdraw any promotion offer advertised at any time, without further notice. TTY assistance is available for deaf and hearing impaired via NZ Relay on 0800 4 711 711. *Where travel is operated by a code partner only "The Works" product will be available, please note the inflight service offering will differ to that on Air New Zealand operated services. Terms and conditions: For airfare only bookings paid with credit, debit or charge card, a fee of $6 per person per one way Pacific Island journey applies. Prices correct as at 5 April 2019. An additional $10 one way in both directions applies for travel on a Friday, Saturday & Sunday. A booking is not completed until a booking reference number has been allocated and advised. Payment is required at the time of booking. Fares are shown in New Zealand dollars unless otherwise specified. Offer is valid for new bookings only. New deals may be released at any time. Fares from or via Auckland, Wellington, Christchurch & Queenstown include airport and government costs, for travel from points other than these, New Zealand airport departure fees are payable at the airport. Customers who purchase fares using Airpoints Dollars™ online will be required to pay the government and airport charges which are included in this fare by internet banking or credit card. Fares displayed at the beginning of the booking process exclude applicable airport and government costs which will be displayed separately once an itinerary is selected. Capacity is limited and will not be available on all flights. Child discounts not applicable. The airfare content is non-refundable, and non-transferable. Taxes on return sector will vary from those on the outbound journey. Date or flight changes to your booking are permitted at any time prior to departure by paying a $100 change penalty (plus a $35 service fee where that change is made through a Contact Centre or at the Airport) and any difference in fare if a fare upgrade is required. Cancellation/changes: Air New Zealand's Conditions of Carriage, Smart Saver terms and conditions and Airpoints™ terms and conditions apply. Connections from provincial New Zealand points requiring an overnight break in the journey will be at passengers' own expense. All promotional offers advertised on this website are correct at time of publishing, however Air New Zealand reserves all rights to modify, amend or withdraw any promotion offer advertised at any time, without further notice. TTY assistance is available for deaf and hearing impaired via NZ Relay on 0800 4 711 711. Travel period: 22 Oct - 4 Dec 2019. An additional $30 per one-way journey will apply for travel on a Fri-Sun in both directions. Terms and conditions: Advertised fares are based on travel originating in New Zealand. For airfare only bookings paid with credit, debit or charge card, a fee of $17.50 per person per one way long-haul journey applies. For airfare only bookings made through our Contact Centre a non-refundable service fee of $60 per person, per one way long-haul journey applies. Customers who purchase fares using Airpoints Dollars™ online will be required to pay the government and airport charges which are included in this fare by internet banking or credit card. Prices advertised are one-way from New Zealand, prices on the return journey may vary due to tax differences. 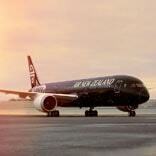 Travel is via Air New Zealand operated non-stop services ex Auckland to Vancouver. Travel from provincial points in New Zealand to international flights ex Auckland on the Air New Zealand network available with additional costs. Connections from provincial New Zealand points requiring an overnight break in the journey will be at the passenger’s own expense. Flight and routing restrictions may apply. An additional $30 per one-way journey applies for Economy travel Friday-Sunday in both directions. Prices correct as at 12 March 2019. Offer is valid for new bookings only. New deals may be released at any time. Cancellation/changes: Air New Zealand’s conditions of carriage, General terms and conditions, Long haul fare rules and Airpoints™ terms and conditions apply. See further baggage information. All promotional offers advertised on this website are correct at time of publishing, however Air New Zealand reserves all rights to modify, amend or withdraw any promotion offer advertised at any time, without further notice. TTY assistance is available for deaf and hearing impaired via NZ Relay on 0800 4 711 711.
receive regular updates by e-mail. When's a good time to travel? jump in here to find the cheapest dates to travel.